Do you ever have days when you feel your most valuable skills are wasted, whilst you spend your life doing less rewarding, mundane items of dentistry because it’s the line of least resistance? We all do it, but then we’re not trained to work any other way. We ALL need outside help to discover what it is we love about dentistry, and how we move our practices towards the goals that we set ourselves. Many of us will even need help setting goals, because without them it’s hard to know which direction to go. 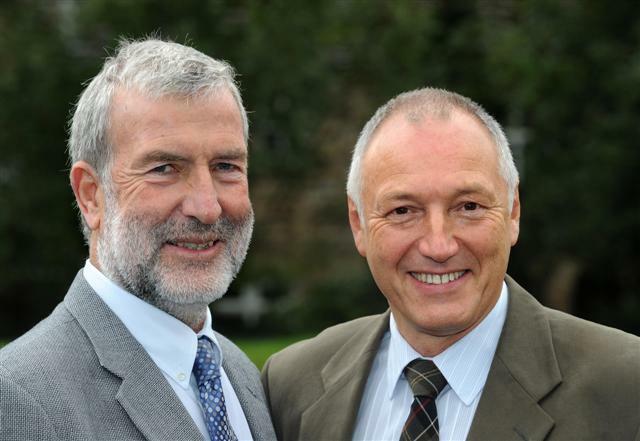 Business Coaches might be the “latest thing”, but back in the mid-1980s it was Mike Grace and Frank Taylor who first opened my eyes to what my practice could really be like, if only I could communicate what it was that I could do to help my patients in an effective manner. This finally culminated in me leaving the NHS in 1990 and moving towards the very successful private practice I now share with my son-in-law Adrian. If you look over to the right you’ll see some links to the people I think can help you develop your business so that you can use the skills you learn on SDS Occlusion courses to makes your own and your patients’ lives better, happier and more rewarding. Alun Rees and Jane Lelean are both dentists who have learned about occlusion, developed and then sold successful practices to concentrate on helping other dentists reach their own goals. We know there is a need for many of your delegates to improve how they communicate their new skills with their staff and patients and I would be delighted to discuss how I could work with them to resolve this. Mark Oborn is a dental technician who has taken a great interest in the business of dentistry and has some important and useful ideas. Chris Barrow is neither a dentist nor a technician, but he has a great reputation for being able to help dentists see their businesses and skills in different and interesting ways to help them fulfil their true potential. One of them will be just right for you, it’s just a matter of discovering which one! International Bruxism Congress 2010 1-2 October – Copenhagen Does FEAR adversely affect dentists’ clinical decisions?